Pyrotechnical applications are widely used in the areas of security, safety, industrial environments and are very common in airbags. Nowadays, hot wire devices are the most common igniters used by the industry, it is a century old technology and did not evolve at all. New usages could be deployed if further miniaturization was possible. In addition the REACH regulation in Europe is a strong incentive for an evolution of this technology for the European market and this industry is always in search of security improvements. The French SME TETHYS is specialized in pyrotechnic applications. It is mainly involved in major safety functions for property, persons and processes and in complex functions. With the nanothermite ignition technology developed by the research organization LAAS CNRS, a new wave of innovation could be started in the usage of Pyrotechnics. Self-injection pens could be envisaged without needles, which would be beneficial not only for needle phobics but also to deliver better guarantees in terms of contamination risks. Data sterilization is one of the applications targeted by TETHYS. A Surface Mountable component would be of great help to permit the physical destruction of sensitive storage devices. Those high ends Memories would be used in critical applications in businesses where knowledge management is strategic. By using the electronic instead of the hot wire device, TETHYS is able to integrate miniaturized igniters produced by collective processes from the proprietary technology of LAAS. As the new product is compatible with other electronic technologies, there is additional innovation potential for smarter and safer devices. As an SME, TETHYS plays an important role in the innovation cycle of this Nanothermite technology. As the pyrotechnic business field if extremely conservative by nature, this new product developed by TETHYS could be the game changing first step to bring new technologies to a whole industry – the French SME acts as an early adopter and catalyzer of innovation. Sensitive products such as e.g. food products are difficult to handle for a robot. Even when handling one variety of apples, no two apples have the same shape, texture, hardness or ripeness. Thus, sensitive and flexible grippers are a big challenge, not only for the food processing industry. In this context, flexible electronic components which are embedded in a thin foil provide a “sensory organ” for adaptive machine grippers. 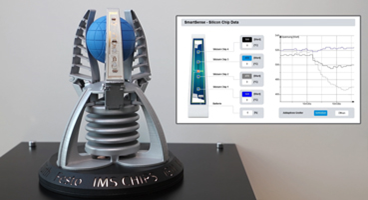 A gripper is thus given "fingertip sensitivity" and is able to grip different items more deliberately and assess them using sensor technology. 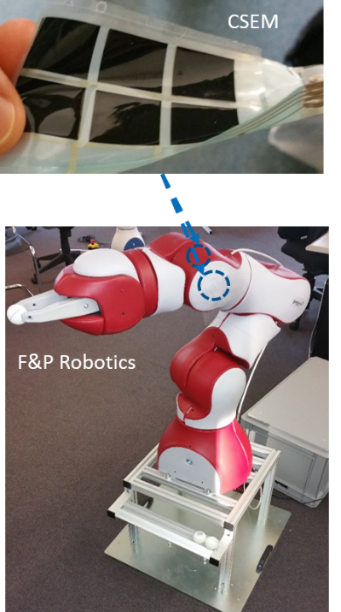 The thin foil technology allows to develop new intelligent sensor systems which can also be attached to flexible, bendable objects such as the adaptive gripper of the Festo Bionic Handling Assistant. It consists of three flexible gripper fingers with Fin Ray Effect®, which can adapt to the widest variety of objects. 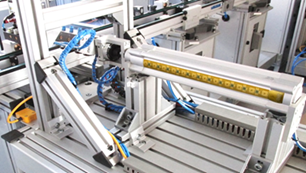 The complex sensor system consists of three functionally separated foil systems. The first foil, SmartSense, is made up of four ultra-thin chips for measuring strain. The second sensor foil, SmartInkSense, is based on printed strain gauges; the third foil, called SmartView, sports a flexible display. Information such as the radio signal strength, battery charging status and gripping status can be read on this. 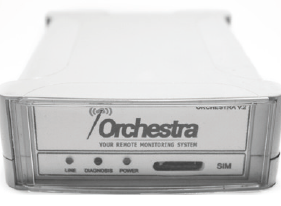 All three systems feature a wireless interface, via which measurement and configuration data is exchanged between the sensor foils and the base station. 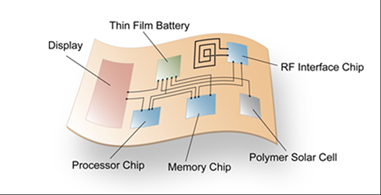 An ultra-thin control chip, which is present in all three systems, controls the respective functions. There is also an SPI interface, via which the configuration data can be exchanged. One possible application field of the gripper is the food sector. For example, it can harvest field crops safely using controlled, adaptive gripping. Yet there is also a wide range of applications in the industrial environment, which can benefit from the particular properties of an adaptive gripper such as this. Festo AG & Co. KG; Hochschule der Medien Stuttgart; Hahn-Schickard; Institut für Großflächige Mikroelektronik; IMS CHIPS; Institut für Nano- und Mikroelektronische Systeme; Institut für Elektrische und Optische Nachrichtentechnik; Max-Planck-Institut für Festkörperforschung; Pilz GmbH & Co. KG; Würth Elektronik GmbH & Co. KG and Institut für Hochfrequenztechnik Universität Stuttgart as associated partner. In an automated production system, many procedures have to be monitored and checked. 2-D cameras with digital technology often take on a simple quality monitoring function. Their two-dimensional detection system can be used to make out the outlines of objects, for example. If an object is expected to be recorded three-dimensionally and its location and spatial position detected, information about how far away the object is must also be provided. This can be done by a 3-D image acquisition and processing system. This property is particularly important when technical assistance systems like robotic arms are supposed to help people with their work. 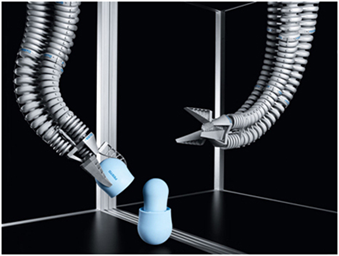 The Bionic Handling Assistant from Festo is an assistance system of this kind. With the aid of a 3-D imaging and processing system, it could recognize and interpret its surroundings. 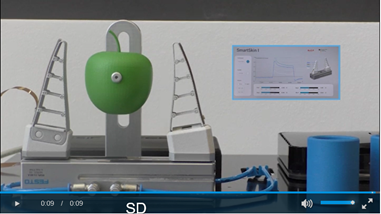 With the help of SSI, a very small and lightweight 3-D camera could be developed for the Festo Bionic Handling Assistant which has a very light design overall. The miniaturized 3D camera is expected to help the spatial positioning of service robots and open up new applications in the interaction between humans and technology. Machines that can communicate with each other independently: that is the vision of the factory of the future. For this purpose, production facilities are being digitally networked. This is achieved if the components involved in the production process, such as e.g. pneumatic drives and workpieces, can interact with each other via intelligent sensor technology and secure communication. 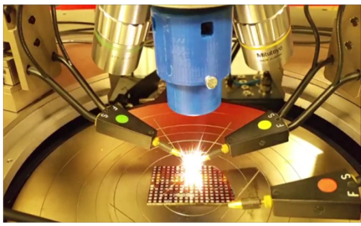 Microelectronic sensor systems in thin foils offer a new approach when it comes to networking intelligent production plants for Industry 4.0. 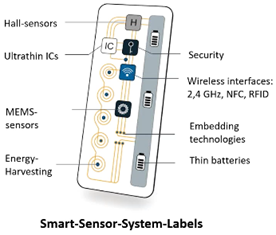 Local monitoring and controls in a production environment are made possible by so-called smart sensor system (S3) labels. Festo AG & Co. KG is a worldwide leading solution provider for factory and process automation. In existing production facilities throughout the world, there is a lack of necessary sensor data and connectivity due to „dumb“ automation components within the machines and plants. 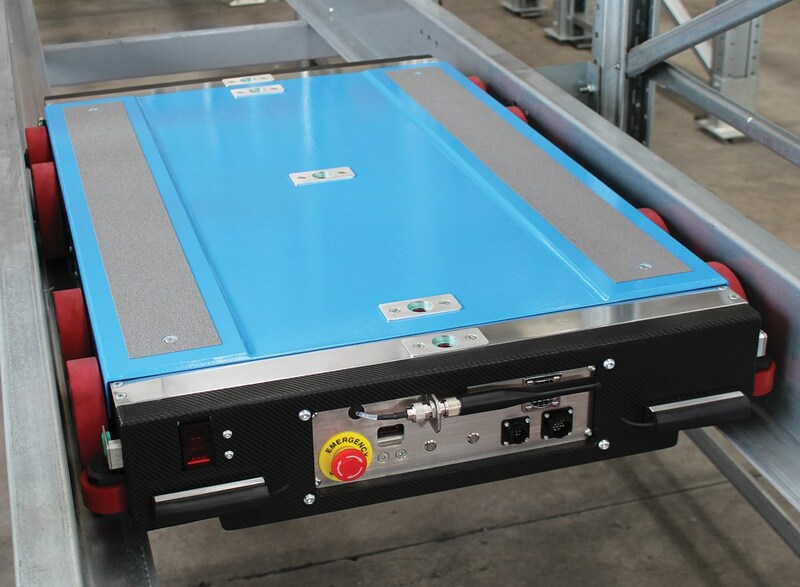 Thus, there is a high need for upgrading these components to smart systems (Retrofitting with S3 labels) which deliver condensed data to connected manufacturing systems, and which enable process transparency and optimisation. The data recorded can be used to evaluate the condition of a component, in order, for example, to proactively service plants which allows the maintenance costs for production plants to be reduced considerably. 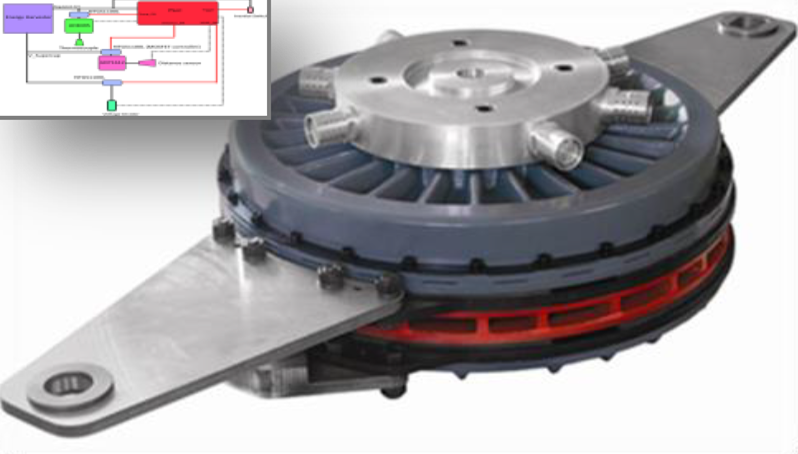 The clutch-brake system has three main parts: the body connected to machine shaft, the clutch friction disc and the brake friction disc. Currently the wear check is done manually by qualified technical staff, stopping the machine, with all involved downtime cost. Furthermore in case of bad conditions running it is uncontrolled. Within the Smarter-SI project a new smart sensor will be developed, intrinsically integrated in the clutch-brake, because external indirect sensors give poor results. 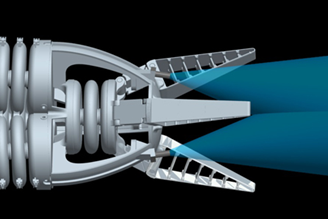 The manufacturing is considered feasible as there are no critical designs or processes in the final foreseen solution. The project partners of SMARTER-SI can provide all necessary technologies and building blocks to realise this innovative sensor system with the desired TRL: An energy harvester (building block by Hahn-Schickard), sensors and signal conditioning (building block by IK4-Ikerlan), electronics (building block by IK4-Ikerlan) and wireless emission (building block by Hahn-Schickard). 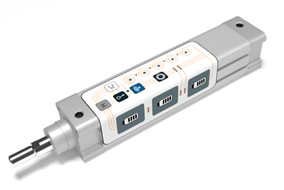 The SME Goizper contributes in the integration of sensors and energy harvesting into pilot clutchbrake system and also testing the smart system in industrial like environment. Goizper expects to check the system, firstly in a test bench and later on in field applications, between 5 and 25 units, during 2017, and after that, assuming that the results are promising, optimise it and launch it to the market. It is estimated that this monitoring capability will increase the revenue of Goizper by 1M€ over the next 5 years from the ending of the industrialization phase. The Carbocap® technology of Vaisala, Finland, is intended for the measurement of gaseous carbon dioxide (CO2). Humans spend about 90% of their time indoors. Indoor air quality, which is directly linked to human well-being and productivity, is poor in as many as 30% of buildings. The most economical way to determine the ventilation demand is to measure CO2. 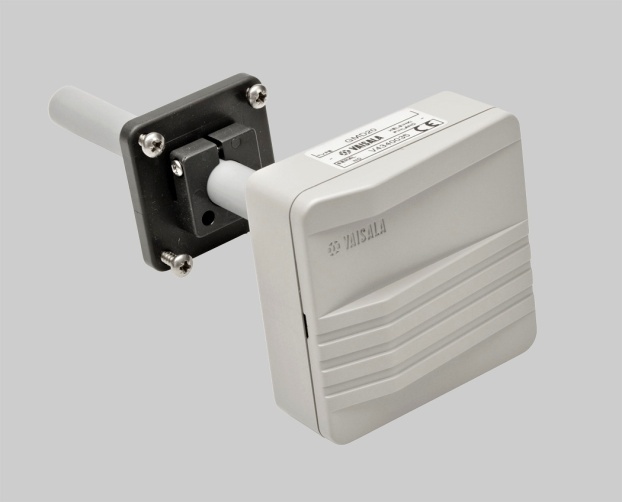 The Vaisala Carbocap® sensor uses the single-beam dual-wavelength non-dispersive infrared (NDIR) method which compares the infrared signals at the CO2 absorption wavelength and another wavelength where no CO2 absorption occurs. The same technique is commonly utilized in expensive high performance NDIR analyzers. However, in case of Vaisala Carbocap®, the traditional mechanically rotating filter wheel is replaced with an electrically controlled Fabry-Perot Interferometer (FPI) fabricated by silicon surface micromachining techniques. 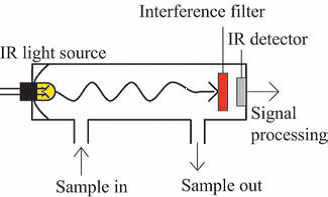 Thus, a true dual-wavelength measurement can be provided in a very simple and practical solid-state structure. 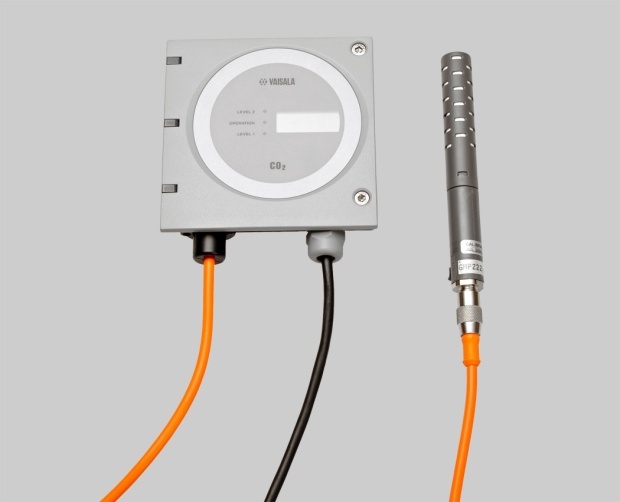 Since its introduction in the late 1990's, Vaisala Carbocap® technology has gained trust as an integral part in reliable NDIR instruments and transmitters. The market penetration is wide, as this technology is implemented in transmitters used for ventilation control as well as in scientific instruments. At the moment, approximately 40,000 smart CO2 sensor sub-systems are manufactured annually and sold at a retail price of about 1000 € creating a considerable sales volume for Vaisala. Without the smart-system-enabled miniaturization, stability, and cost-effectiveness, this business would not exist. Transnational: The Vaisala Carbocap® technology was developed without any public funds in a cooperation project between Vaisala and VTT in Finland.